An IRA informant may have told police about the 1974 Birmingham pub bombs before they exploded, a coroner heard. Ashley Underwood QC, who represents some of the victims’ families, told a hearing into whether to reopen inquests for the 21 victims there was “reason to believe it’s the case”. 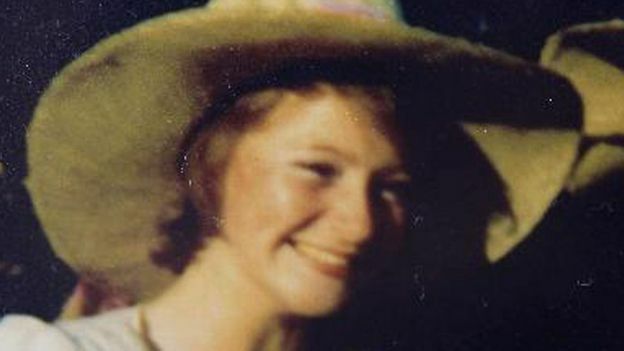 Birmingham and Solihull coroner Louise Hunt is hearing an application to resume inquests into the 1974 atrocity. It is widely acknowledged the IRA was behind the bombings. Ms Hunt is hearing three days of submissions for and against the inquests being resumed. A decision is expected in two weeks. Mr Underwood said West Midlands Police officers may have wrongly prosecuted six men – who became known as the Birmingham Six and whose convictions were quashed in 1991 – knowing they were innocent in order to protect their “mole” and cover up their prior knowledge of the attacks. “There is reason to believe the gang of murderers had an informant in their ranks and that the police knew in advance. The Birmingham pub bombings, also known as the Birmingham bombings, were a series of bombings which occurred in public houses in Birmingham, England on 21 November, 1974. The explosions killed 21 people and injured 182 others. “went against everything we [the Provisional Irish Republican Army] claimed to stand for”. Six Irishmen were arrested within hours of the blasts, and in 1975 sentenced to life imprisonment for the bombings. The men—who became known as the Birmingham Six—consistently maintained their innocence and insisted police had coerced them into signing false confessions through severe physical and psychological abuse. The convictions of the Birmingham Six were declared unsafe and unsatisfactory, and quashed by the Court of Appeal in 1991. The Birmingham pub bombings are seen as both one of the deadliest acts of the Troubles and the deadliest act of terrorism to occur in Great Britain between World War II and the 2005 London bombings Moreover, the convictions of the Birmingham Six are seen as one of the worst miscarriages of justice in British legal history. In 1973, the IRA extended its campaign to mainland Britain, attacking military and symbolically important targets to both increase pressure on the British government, via popular British opinion to concede to their demand to withdraw from Northern Ireland and to maintain morale amongst their supporters. By 1974, mainland Britain saw an average of one attack—successful or otherwise—every three days. These attacks included five explosions which had occurred in Birmingham on 14 July, one of which had occurred at the Rotunda. Prior to any attack upon civilian targets, a code of conduct was followed in which the attacker or attackers would send an anonymous telephone warning to police, with the caller reciting a confidential code word known only to the IRA and to police, to indicate the authenticity of the threat. On 14 November, James Patrick McDade, a 28-year-old U.K.-based member of the Provisional Irish Republican Army, was killed in a premature explosion as he attempted to plant a bomb at a telephone exchange and postal sorting office in the city of Coventry. A second man, Raymond McLaughlin, was arrested near the scene of the explosion; he was charged with unlawfully killing McDade and causing an explosion. In response to the death of McDade, the republican movement in England had initially planned to bury McDade in Birmingham, with the funeral procession conducted with full paramilitary honours; however, these plans were altered in response to the British Home Secretary‘s insistence this proposed funeral, and any associated sympathy marches, would be prevented. Likewise, various councils within the West Midlands chose to ban any processions connected to the death of McDade under the Public Order Act 1936. According to a senior figure within the Provisional Irish Republican Army, tensions within the local (Birmingham) IRA unit were “running high” over the disrupted funeral arrangements for James McDade. In the early evening hours of 21 November, a minimum of three bombs connected to timing devices were planted inside two separate public houses and outside a bank located in and around central Birmingham. It is unknown precisely when these bombs were planted, although if official IRA protocol of preceding attacks upon non-military installations with a 30-minute advance warning to security services was followed, and subsequent eyewitness accounts are accurate, the bombs would have been planted at these locations sometime after 19:30 and shortly before 19:47 in the evening. 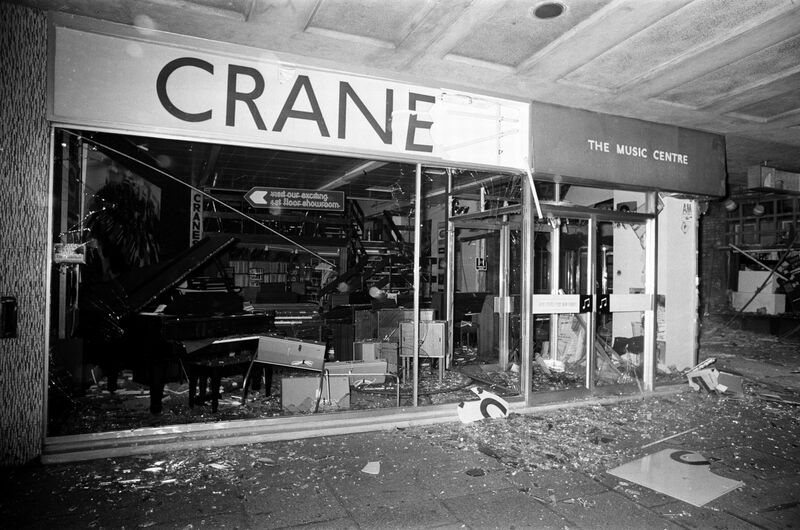 According to testimony delivered at the 1975 trial of the six men wrongly convicted of the Birmingham pub bombings, the bomb planted inside the Mulberry Bush was concealed inside either a duffel bag or briefcase, whereas the bomb planted inside the Tavern in the Town was concealed inside a briefcase or duffel bag (possibly concealed within a large, sealed plastic bag) and Christmas cracker boxes. The remnants of two alarm clocks recovered from the site of each explosion leaves the possibility that two bombs had been planted at each public house, although the actual explosion crater at each location indicates that if two bombs had been planted at each public house, they would each have been placed in the same location and likely the same container. Reportedly, the individual(s) who planted these bombs then walked to a preselected phone box to telephone the advance warning to security services; however, the phone box had been vandalised, forcing the caller to find an alternate phone box and in so doing, significantly reducing the amount of time police had to clear the locations. before terminating the call. (Double X was a then-used official IRA code word recited to authenticate any warning call.) A similar warning was also sent to the Birmingham Evening Mail newspaper, with the anonymous caller(s) again giving the official IRA code word to indicate the authenticity of these threats, but again failing to specifically name the actual public houses in which the bombs had been planted. The Rotunda was a 25-storey office block that housed the Mulberry Bush pub on its lower two floors. Within minutes of the anonymous phone threat, the police had arrived at this location and had barely begun to check the upper floors of the building for explosive devices, but had not had sufficient time to clear the crowded pub located street level. 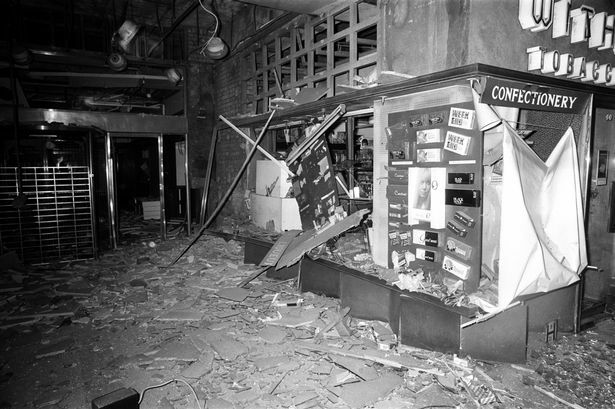 At 20:17, just six minutes after the first telephone warning had been delivered to the Birmingham Post, the bomb—which had been concealed inside either a duffel bag or briefcase located close to the rear entrance to the premises—exploded, devastating the pub. The explosion blew a crater measuring 40 inches in diameter in the concrete floor of the premises, causing a section of the roof to collapse and trapping many casualties beneath girders and concrete blocks. Numerous buildings near the Rotunda were also damaged and passersby in the street were struck by flying glass from shattered windows. Several of the fatalities were killed outright, including two youths who had been walking past the premises at the moment of the explosion. Ten people were killed in this explosion, with dozens injured, including many who would lose one or more limbs. Several casualties had been impaled by sections of wooden furniture,[ with others having their clothes burned from their bodies. 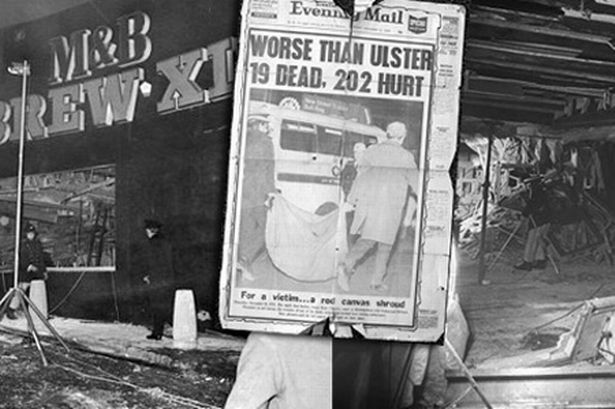 A paramedic called to the scene of this explosion would later describe the carnage as being reminiscent of a slaughterhouse, whereas one fireman would state that, upon seeing a writhing, “screaming torso”, he had begged police to allow a television crew inside the premises to film the dead and dying at the scene, in the hope the IRA would see the consequences of their actions; however, the police refused this request, fearing the reprisals would be extreme. Carlin was given the last rites, with surgeons initially doubtful she would live, although she would recover from her injuries. Patrons at the Tavern in the Town—a basement pub on New Street located just 50 yards (46 m) from the Rotunda and directly beneath the New Street Tax Office —had heard the explosion at the Mulberry Bush, but had not associated the sound (described by one survivor as a “muffled thump” ) as sourcing from explosives. Police had begun attempting to clear the Tavern in the Town when, at 20:27, a second bomb exploded at these premises. The explosion was so powerful that several victims were blown through a brick wall. Their remains were wedged between the rubble and live underground electric cables that supplied the city centre. 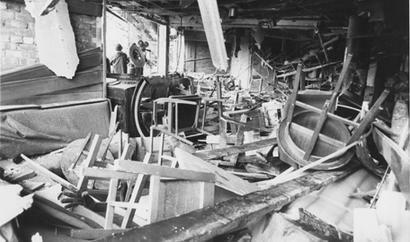 One of the first police officers to arrive on the scene, Brian Yates, would later testify that the scene which greeted his eyes was “absolutely dreadful”, with several of the dead stacked upon one another, other fatalities strewn about the ruined pub, and several screaming survivors staggering aimlessly amongst the debris, rubbl and severed limbs. According to one of these survivors, the sound of the explosion was replaced by a deafening silence intermingled with the smell of burnt flesh. This bomb killed a further nine people and injured every person present in the pub—many severely. One of those injured in this explosion, a 28-year-old barman named Thomas Chaytor, would succumb to his injuries on 28 November; another individual, 34-year-old James Craig, would also succumb to his injuries on 10 December. 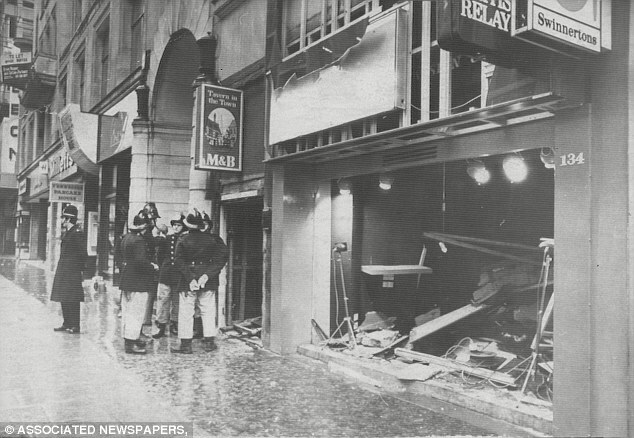 After the second explosion, police evacuated all public houses and business premises within Birmingham City Centre and commandeered all available rooms in the nearby City Centre Hotel as an impromptu first-aid post. All bus services into the city centre were halted, and taxi drivers were encouraged to transport those lightly injured in the explosions to hospital. Prior to the arrival of ambulances, rescue workers removed critically injured casualties from each scene upon makeshift stretchers constructed from devices such as tabletops and wooden planks. These severely injured casualties would be placed on the pavement and given first response treatment prior to the arrival of paramedics. At 21:15, a third bomb, concealed inside two plastic bags, was found in the doorway of a Barclays Bank on Hagley Road, approximately two miles from the site of the first two explosions. This device consisted of 13.5lbs of Frangex connected to a timer, and was intended to detonate at 23:00. The detonator to this device did activate when a policeman prodded the bags with his truncheon, but the bomb failed to explode. This bomb was destroyed in a controlled explosion early the following morning. 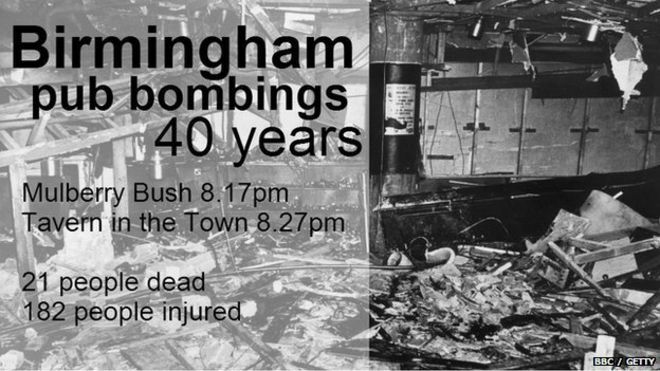 Altogether, 21 people were killed and 182 people were injured in the Birmingham pub bombings, making these attacks the worst terrorist atrocity (in terms of number of fatalities) to occur in mainland Britain throughout the Troubles, and the bombings colloquially referred to by residents of Birmingham as being the “darkest day” in their city’s history. Many of those wounded were left permanently disabled, including one young man who lost both legs, and a young woman who was rendered blind by shrapnel embedded in her eyes. The majority of the dead and wounded were young people between the ages of 17 and 30, including a young couple on their first date, and two brothers of Irish descent: Desmond and Eugene Reilly (aged 21 and 23 respectively). The wife of Desmond Reilly would subsequently give birth to his first child four months after his death. One of the victims killed in the second explosion, 18-year-old Maxine Hambleton, had only entered the Tavern in the Town to hand out tickets to friends for her housewarming party. She was killed seconds after entering the pub and had been standing directly beside the bomb when it exploded, killing her instantly. Her friend, 17-year-old Jane Davis, was the youngest victim of the bombings and had herself simply entered the Tavern in the Town to view holiday photographs she had had developed that afternoon. The Birmingham pub bombings stoked considerable anti-Irish sentiment in Birmingham, where the 100,000 members of the Irish community were ostracised from public areas and subject to physical assaults, verbal abuse and death threats. Both in Birmingham and across England, Irish homes, pubs, businesses and community centres were desecrated and attacked, in some cases with firebombs. Staff at thirty factories across the Midlands went on strike in protest at the bombings, while workers at airports across England refused to handle flights bound for Ireland. 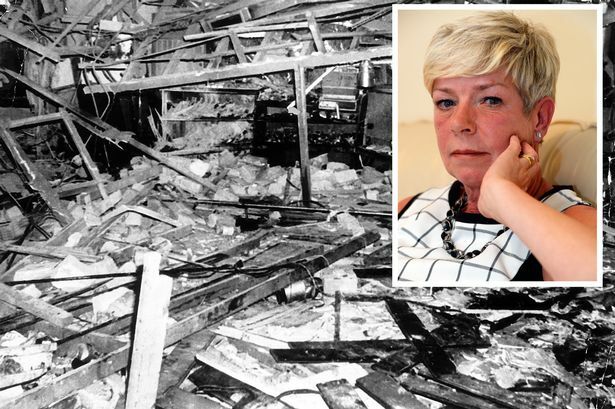 Bridget Reilly, the mother of the two Irish brothers killed in the Tavern in the Town explosion, was herself refused service in local shops due to her Irish heritage. Prior to either branch of the IRA issuing a statement confirming or denying their culpability in the atrocities,the responsibility for the attacks was placed upon the Provisional IRA. Because of the anger directed against Irish people in Birmingham after the bombings, the IRA’s Army Council placed the city “strictly off-limits” to IRA active service units. In Northern Ireland, loyalist paramilitaries committed several revenge attacks on Irish Catholics: Within two days of the Birmingham pub bombings, five Catholic civilians had been shot to death by loyalists. Two days after the Birmingham pub bombings, the Provisional IRA issued a formal statement in which they flatly denied any responsibility for the bombings. Although the statement did stress that a detailed internal investigation was underway to determine the possibility of any rogue members’ involvement in the bombings, the Provisional IRA emphasised that the methodology of the attacks contradicted the official IRA code of conduct when attacking non-military targets, whereby adequate warnings would be sent to security services to ensure the safety of civilians. Within four days of the Birmingham pub bombings, Roy Jenkins, then-Home Secretary of the United Kingdom, formally announced that the Irish Republican Army was to be proscribed within the United Kingdom. “draconian measures unprecedented in peacetime”. The Prevention of Terrorism Act of 1974 became law on 29 November, and would remain in force within the United Kingdom until the passage of the Terrorism Act in July 2000. An analysis of the recovered remnants of the bombs placed at the Mulberry Bush and the Tavern in the Town revealed these devices had been constructed in a similar manner to the bomb placed at Hagley Road. Each bomb placed inside the public houses would have weighed between 25 and 30lbs, and had contained numerous shards of metal. Furthermore, this forensic analyst was also able to state that the construction of these devices was very similar to that of seven other bombs and incendiary devices discovered at various locations in Birmingham, Coventry and Wolverhampton in the 16 days prior to the Birmingham pub bombings, and that the explosive material used to construct the bomb discovered at Hagley Road was of a brand solely manufactured in the Irish Republic, which could not legally be imported into Britain. All these factors led the explosives expert to conclude that all three bombs had been manufactured by the same individual or individuals, and that it was likely that whoever had constructed these bombs had also committed previous IRA attacks. This conclusion was further supported by the actual methodology of the attacks, and the official IRA code word given to the Birmingham Evening Mail and Birmingham Post newspapers minutes prior to the explosions. At 19:55 on 21 November (scarcely 20 minutes before the first bomb had exploded), five Irishmen—Patrick Hill, Gerard Hunter, Richard McIlkenny, William Power and John Walker—had boarded a train at Birmingham New Street station. These men—who, alongside Hugh Callaghan, would become known as the “Birmingham Six” —were originally from Northern Ireland. Five of the Birmingham Six hailed from Belfast, whereas John Walker had lived in Derry until age 16. All six men had lived in Birmingham for between 11 and 27 years respectively and, although they had known James McDade and/or his family to varying degrees, each man was adamant they had not known of his IRA affiliations. When the bombs exploded, the booking clerk from whom the men had purchased tickets informed police that a man with an Irish accent, dressed in a dust-covered purple suit, had purchased a ticket to travel to the coastal village of Heysham, en route to Belfast. This individual had then run onto the train. A spot check on ticket sales that evening revealed that four further tickets to travel to Belfast via Heysham had also been issued. Within three hours of the bombings, each man had been detained at Heysham Port and taken to Morecambe police station to undergo forensic tests to eliminate them as suspects in the bombings. Each man expressed their willingness to assist in these inquiries, having informed the officers of a half-truth as to the reason they had been travelling to Belfast: that they intended to visit their families (although they also intended to attend the funeral of James McDade). Between 03:00 and 06:10 the following morning, forensic scientist Dr. Frank Skuse conducted a series of Griess tests upon the hands, fingernails and belongings of the five men arrested at Heysham Port, to determine whether any of the men had handled nitroglycerine (an active ingredient in the manufacture of explosive devices). Skuse concluded with a 99% degree of certainty that both Patrick Hill and William Power had handled explosives, and remained uncertain as to the test results conducted on John Walker, whose right hand had tested positive, but whose left hand had tested negative. (The test results upon both Hunter and McIlkenny had been negative. )Each man was then ordered to change his clothes. A search of Walker’s possessions revealed several mass cards printed in reference to the upcoming funeral of James McDade. Upon discovering these mass cards, two officers led Walker into an adjacent room, where he was repeatedly punched, kicked and, later, burned with a lit cigarette by three officers as his arms were restrained by the two policemen who had escorted him into the room. Similar assaults would be endured by Power, Hunter, Hill and, to a lesser degree, McIlkenny, although the officers who administered these beatings took great care to avoid marking the men’s faces. At 12:55 on the afternoon of 22 November, while detained at Morecambe police station, William Power signed a false confession admitting his involvement in the Birmingham pub bombings. This confession was extracted after Power had been subjected to extreme physical and psychological abuse, which included repeated kicking in the stomach, head and legs, dragging by the hair, and enduring the stretching of his scrotum. Despite their protestations of innocence, the five men were transferred to the custody of the West Midlands Serious Crime Squad on the afternoon of 22 November.At 22:45 that evening, Hugh Callaghan would be arrested at his home in Birmingham and driven to Sutton Coldfield police station, where he was briefly questioned before being detained in a cell overnight, but intentionally denied sleep. The same evening Callaghan was arrested, the homes of all six men would be extensively—and unsuccessfully—searched for explosives and explosive material. Following their transfer to the custody of the West Midlands Crime Squad, three other members of the Birmingham Six (Callaghan, McIlkenny and Walker) would sign false confessions on 23 November. In these three further false statements obtained by the West Midlands Crime Squad, Callaghan, McIlkenny and Walker each falsely claimed to be members of the IRA; to have conspired with James McDade to cause explosions prior to his death; and to have planted the bombs at the Mulberry Bush and the Tavern in the Town public houses. As had been the case with William Power while detained at Morecambe police station, the three men would claim that, prior to and upon their being transferred to Birmingham, officers had coerced them into signing these confessions through severe physical, psychological and emotional abuse. This mistreatment included beatings, deprivation of food and sleep, being subject to mock executions, intimidation, being burned with lit cigarettes, and being forced to stand or squat in various stress positions. In addition, each man had heard threats directed against their families. Both Hill and Hunter would also state they had been subject to the same mistreatment, and although both men had refused to sign false confessions, police would later claim both men had given verbal confessions as to their guilt. Prior to the trial, defence lawyers for the Birmingham Six formally applied for their clients to be tried separately from Sheehan, Kelly and, particularly, Murray, stating that their clients’ presumptions of innocence and denials of association with the IRA would be tainted if they were tried alongside an admitted member of the Provisional IRA, who had been convicted of causing explosions. This application was rejected by Judge Bridge, who was to preside over the trial. On 9 June 1975, the Birmingham Six stood trial at Lancaster Crown Court before Judge Nigel Bridge. Each man was charged with 21 counts of murder and conspiring with the deceased James McDade to cause explosions across the Midlands between August and November, 1974. Michael Murray, James Kelly and Michael Sheehan were also charged with conspiracy to cause explosions across the Midlands, with Kelly and Sheehan facing the additional charges of possession of explosives. Dr. Frank Skuse testified as to his conducting Griess tests upon the hands of the six men following their arrest. Skuse testified as to his being 99% certain that both Hill and Power had handled explosive materials, and to a possibility Walker had also done so, although Skuse conceded that he could not rule out the possibility that Walker’s right hand could have been contaminated from his (Skuse’s) own hands, as Walker was the last of the five men to be swabbed at Morecambe police station, and had at first tested negative to the Griess test, before a second swab had revealed faint, positive traces of ammonium and nitrates. This testimony was refuted by Dr. Hugh Kenneth Black, a former Chief Inspector of Explosives for the Home Office, who testified that a range of innocuous substances and objects one could handle on a daily basis containing nitrocellulose (such as varnishes and paints) would produce a positive result to a Griess test. Moreover, the tests conducted by Dr. Skuse had not succeeded in identifying nitroglycerine as the source of the positive results produced by the Griess tests, and the Crown had earlier conceded that an exhaustive search of the six men’s homes had revealed no traces of nitroglycerine. Several weeks into the trial, Judge Bridge overruled motions from the defence counsel that the four written confessions obtained from their clients should be omitted from evidence due to their being extorted under extreme physical and mental pressure—instead citing the statements as admissible evidence. These written confessions would be presented in evidence at the trial following an eight-day hearing conducted outside the presence of the jury. The judge refused to allow the jury to view the written confessions, which would have disclosed not only that each of the four written confessions contradicted details contained within the three other confessions, but that they also contradicted testimony from forensic scientists delivered earlier in the trial as to the devices used to conceal the bombs, and the locations in which they had been placed inside the public houses. 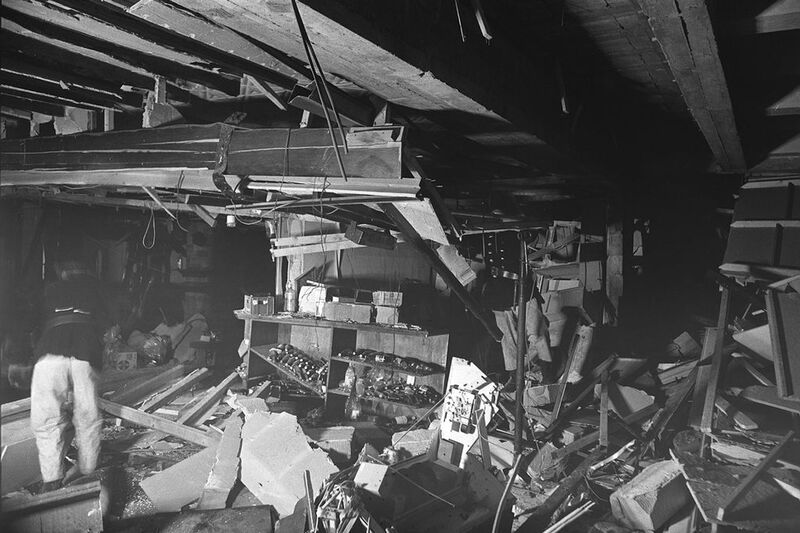 For example, William Power had claimed in his written confession that he had placed the bomb which devastated the Mulberry Bush public house by a jukebox at the foot of a staircase to the premises; whereas a forensic scientist named Douglas Higgs had testified on the fourth day of the trial that the bomb which had detonated within these premises had been left by a wall located towards the rear of the premises. All six men were sentenced to life imprisonment. None of the Birmingham Six displayed any emotion upon hearing the verdict, although William Power did salute the judge. At the same trial, Michael Murray and Michael Sheehan were each convicted of conspiracy to cause explosions and sentenced to nine years’ imprisonment. James Kelly was found not guilty of conspiracy to cause explosions, but guilty of the possession of explosives and sentenced to one year’s imprisonment, although his counsel, Edwin Jowett, successfully argued that his client had already served the equivalent of a one-year sentence. Kelly would be released from prison on 23 August. “These investigations both at Morecambe and Birmingham were carried out with scrupulous propriety by all your officers”. “not worth the paper it was written on”. In 1985, the current affairs programme World in Action presented the first of six episodes focusing upon the Birmingham pub bombings which seriously challenged the validity of the convictions of the Birmingham Six. In this first episode broadcast, two distinguished forensic scientists conducted a series of Griess tests upon 35 separate common substances which the men had likely come into contact within their everyday lives. Each forensic scientist was able to confirm that only those substances containing nitrocellulose produced a positive result, and that the Griess test would only produce a positive reaction to nitrocellulose if conducted in a room with an average room temperature. Also appearing on this first World in Action episode broadcast was a former West Midlands policeman, who confirmed that each of the Birmingham Six had been subjected to beatings and threats while in the custody of the West Midlands Crime Squad. In addition, a former IRA Chief of Staff also acknowledged on this programme that IRA members had indeed perpetrated in the Birmingham pub bombings. In January 1987, the Home Office referred the conviction of the Birmingham Six to the Court of Appeal. This motion resulted from the findings of forensic scientists working for the Home Office, who had expressed grave concerns as to the reliability of the Griess tests cited as forensic evidence of the defendants’ guilt. In granting this motion, the Home Secretary himself emphasised that he had “little or no confidence” in the reliability of this test. This appeal was formally heard before three judges of the Court of Appeal in November 1987. At this hearing, the defence counsels argued that the Birmingham Six were victims of a gross miscarriage of justice, that they had been convicted upon unreliable forensic evidence, and that the signed confessions were contradictory and had been obtained under extreme physical and mental duress. The allegations of physical mistreatment were corroborated by a former policeman named Thomas Clarke, who testified as to the defendants’ mistreatment while incarcerated at Winson Green Prison. This appeal also heard evidence from journalist Chris Mullin, who testified in detail as to the contradictions in the written and verbal confessions obtained from the defendants, both with regards to the actual events of the day, and with regards to the content of the statements made by their fellow defendants—all purported by the Crown to be solid evidence. Mullin also testified as to the fundamental flaws in the forensic tests conducted upon the men’s hands for traces of nitroglycerine. These allegations were refuted by Mr. Igor Judge QC, who informed the three judges of the Court of Appeal of the Crown’s contention that the allegations that police had obtained false confessions by subjecting the men to severe physical and emotional abuse was “baseless”, and of his belief that only film footage of the defendants actually planting the bombs would provide stronger evidence than that which already existed against the Birmingham Six. In March 1990, ITV broadcast the Granada Television documentary drama, Who Bombed Birmingham? ; a drama which recounted the events of the arrest of the Birmingham Six, the evidence presented at the trial and the then-ongoing efforts of Chris Mullin to prove Birmingham Six had been the victims of a miscarriage of justice. This documentary drama extensively detailed both the flaws in the forensic evidence against the men, and the extensive physical and psychological abuse to which they had been subjected. The programme formally named four of five members of the Provisional IRA as having organised and committed the Birmingham pub bombings. One of these men was Michael Murray, who had been tried alongside the Birmingham Six and convicted of conspiracy to cause explosions. 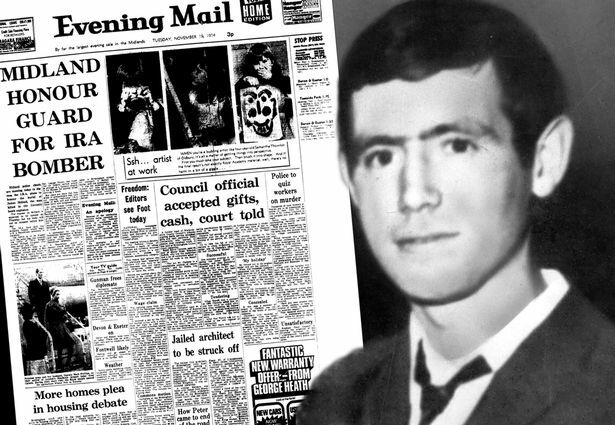 Murray was named as the individual who had assisted in the selection of the targets, and had later placed the delayed advance warning call to the Birmingham Post and Birmingham Evening Mail newspapers. The other three individuals formally named within this documentary were Seamus McLoughlin, whom the programme asserted had also planned the atrocities; James Francis Gavin (a.k.a. James Kelly, who had likewise been tried alongside the Birmingham Six and convicted of the possession of explosives), who had allegedly constructed each of the bombs; and Michael Christopher Hayes, who had planted the bombs at the preselected locations. “I don’t complain that we have a legal system that makes mistakes; that can happen anywhere in the world. What I complain about is that we lack the mechanism for owning up to mistakes”. Chris Mullin, reflecting on the struggle he and others had undertaken to prove the innocence of the Birmingham Six on the day of their release. 14 March, 1991. On 29 August 1990, as a result of further fresh evidence uncovered following the 1988 dismissal of appeal, the Home Secretary again referred the convictions of the Birmingham Six to the Court of Appeal. This appeal was heard by Lord Justice Lloyd between 4 and 14 March 1991. At the conclusion of this second appeal, the convictions of the Birmingham Six were quashed upon the bases of police fabrication of evidence, the suppression of evidence, and the unreliability of the scientific evidence presented at their 1975 trial. The tests conducted by Dr. Skuse upon the defendants’ hands for nitroglycerine were deemed by the three Court of Appeal judges as being particularly unreliable and “demonstrably wrong … even by the state of forensic science in 1974”. Patrick Hill—who has publicly backed the efforts of the Justice for the 21 campaign—would also later state that, follow their 1991 release from prison, the Birmingham Six had been informed of the names of the true perpetrators of the Birmingham pub bombings, and that their identities are known among the upper echelons of both the IRA and the British Government. In addition, Hill also states that, following the 1998 Good Friday Agreement, he has been told five members of the Provisional IRA have admitted they had committed the Birmingham pub bombings. Hill also states that the reason for this admission is that one clause of the Good Friday Agreement is an immunity from prosecution. Two of these men have since died; a further two have been promised immunity; whereas a fifth individual has not received any such assurances of immunity from prosecution. The West Midlands Police and then-Director of Public Prosecutions, Barbara Mills, formally reopened their investigation into the Birmingham pub bombings following the release of the Birmingham Six. In April 1994, the Chief Constable of the West Midlands, Sir Ronald Hadfield, publicly stated: “The file, so far as we are concerned is now closed … We have done everything we could possibly have done to bring the perpetrators to justice”. Hadfield then emphasised that the Director of Public Prosecutions had found “insufficient evidence for [criminal] proceedings to be taken”. Following a 2014 meeting held at the West Midlands Police headquarters to discuss the findings of a two-year reassessment of all available evidence connected with the original 1974 inquiry, campaigners within Justice for the 21 were formally told that unless “new and significant information” was forthcoming, there would be no further inquiry into the Birmingham pub bombings. At this meeting, the Chief Constable of the West Midlands did inform the campaigners that 35 pieces of evidence from the original 1974 inquiry were now missing, including the bomb which had been discovered at Hagley Road and safely destroyed in a controlled explosion. “[if] issues relating to the IRA concerning the Birmingham bombings are still to be addressed, then it is very clearly the Sinn Féin position that this should happen”. The Birmingham Mail alleges Murray had assisted in the construction of the bombs at a house in Bordesley Green, and had then transported them to the city centre, where he had handed them to another individual, who then placed them in the preselected targets, before he [Murray] telephoned the delayed warning calls to the two Birmingham newspapers. These allegations are supported by Patrick Hill and John Walker, who remain adamant that at one stage during the 1975 trial, Murray had privately admitted being one of the bombers. Murray allegedly told the two men: “I’m very sorry to see yous in here. Nothing went right that night. The first telephone box we got to was out of order” before threatening the two men that if they ever divulged this admission, both they and their families would be attacked. Kieran Conway, a former senior officer of the Provisional Irish Republican Army, formally admitted that the group had committed the Birmingham pub bombings in 2014, adding that he was “appalled and ashamed” at the attack, and that other senior IRA officials shared his opinion the bombings had been immoral and detrimental to the objectives of the republican movement. Conway disputed allegations that an insufficient warning had deliberately been given to security services due to ill-feeling within the IRA over the disrupted funeral arrangements for James McDade, but claimed the perpetrators had actually tried to use several phone boxes which were either out of order or in use to deliver the protocol 30-minute warning, before finding a free, operable phone box to deliver the warning call.